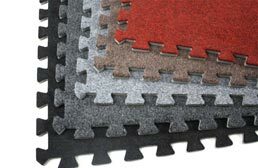 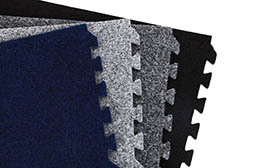 Carpet Tiles from FoamTiles.com are available in two options, our economy soft carpet tiles, and our premium carpet tiles. 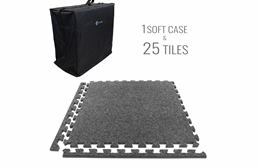 All of our carpet tiles are backed with EVA foam to form a comfortable shock absorbing surface and each of these products are easy to install, backed by a one year warranty and ship the next business day. 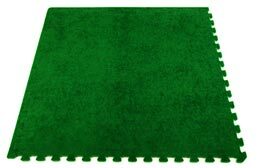 Some popular places where our carpet tiles have been used successfully before include in home gyms as gym flooring, as a portable flooring solution for use as trade show exhibit flooring, as a temporary floor covering in commercial and retail settings.